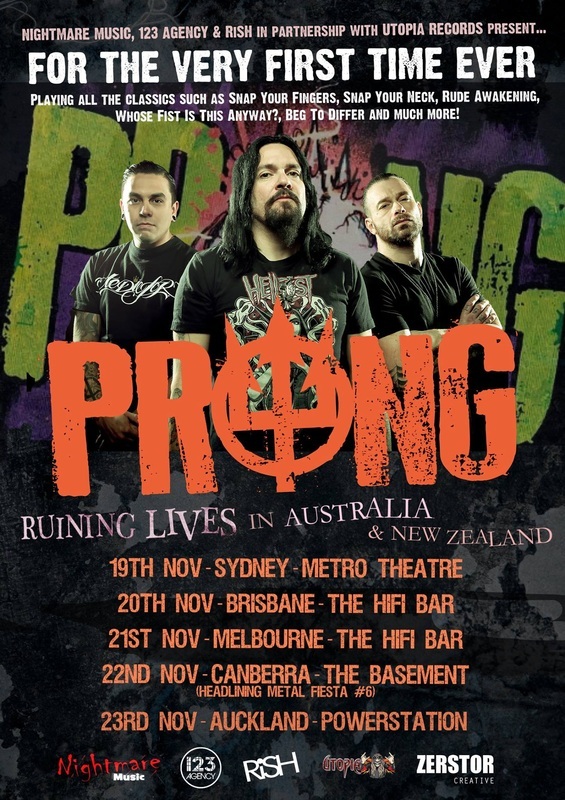 US metal favourites Prong will tour Australia for the first time ever this coming November. Founded by singer/guitarist Tommy Victor in 1986, the band has never made it to Australian shores at any point in their 28-year career. But all that is about to change... The band will be hitting east coast shores for a quick-fire four-date run. The band's new album Ruining Lives is the follow-up to the acclaimed 2012 release Carved Into Stone and continues to show the band on an upward trajectory, proving that despite having a long, illustrious career, Prong can still make records that matter and re-invent themselves without negating their roots.